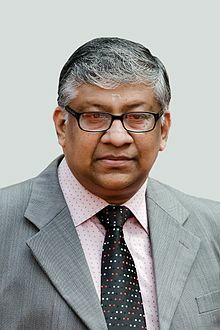 Justice Thottathil B. Radhakrishnan born on 29 April 1959, Kollam is the Chief Justice of the High Court of Judicature at Hyderabad for the States of Telangana and Andhra Pradesh situated at Hyderabad. Radhakrishnan was born to late N. Bhaskaran Nair and late K. Parukutty Amma who were both practising advocates at Kollam. He completed his education from St. Joseph's Convent and Government Boys High School, Kollam, Arya Central School, Thiruvananthapuram, Trinity Lyceum and F. M. N. College, Kollam, and Kolar Gold Fields Law College, Karnataka.